A fundamental characteristic of structural-developmental psychology is that development is governed by a logico-mathematical, hence scientific, principle of equilibrium. In this article I examine James Fowler's proposal for a metaphorical interpretation of logic in his theory of faith development. I intend to argue that a metaphorical understanding of logic radically shifts the theory of faith development away from Piagetian structuralism and towards dialectical psychology. 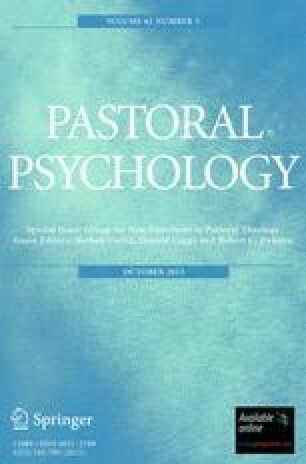 A metaphorical reading of stages and their transformation raises serious questions about the attempt to define faith in terms of stages of individual psychological development. A secondary proposal to be considered is the relevance of metaphorical theology to faith development theory. An earlier version of this paper was read at the Annual Meeting of the Society for the Scientific Study of Religion and the Religious Research Association in Salt Lake City, Utah, October 29, 1989. I am indebted to Professor Brown from the University of New South Wales, Australia for his helpful comments on an earlier draft of this paper.